If you’d like to be notified for our next pilgrimage, please sign up with your email address below. You've heard the call and felt the soul stirrings within you. Now dear one, it's time. 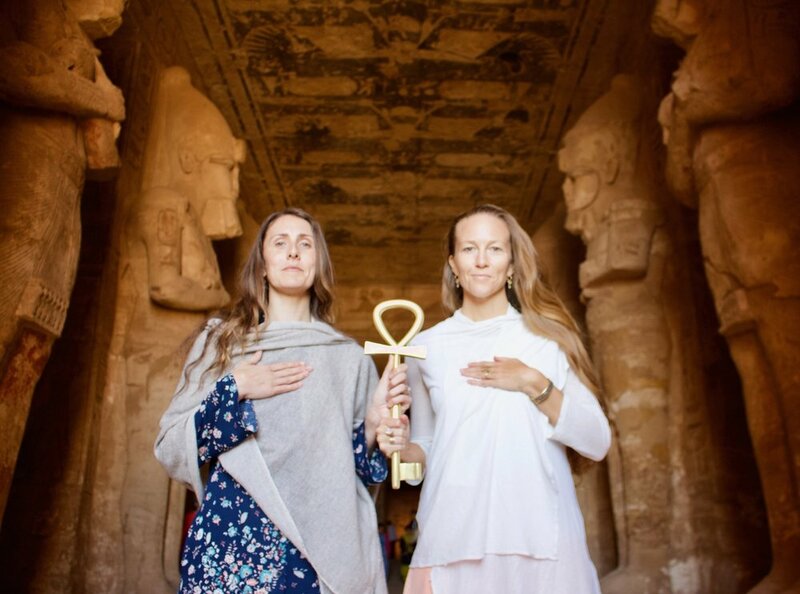 From the Well of our Hearts and Chalice of our Wombs, we are deeply honoured and joy-filled to invite you to our Egypt Activation Priestess Pilgrimage, where the eternal key of life is ready to nourish you. Sister, as you are remembering your ancient feminine power... waking, reclaiming, shedding, and rising as a unique frequency of love on Earth, this sacred pilgrimage is encoded to activate and amplify your Soul's Journey, Egyptian & Rose Lineage Gifts, and DNA Light codes within you. There is profound alchemy culminating within our converging sisterhood. Each woman on this journey is a mirror, bringing unique gifts, keys and reflections for the whole of our circle. On this mystical journey, during the alignment of the Winter Solstice and the December Full Moon, you will be guided with the shimmering threads of Magick to reveal messages, insight and activation's unique to you and for our collective. Our pilgrimage is an offering to our Beloved Mother Goddess and serves to empower you as a vessel of the Sacred to catalyze the next evolution of your Divine Sovereignty, Leadership and Priestess Power. As the Earth's energy system mirrors our own with outer representations of our inner sanctums, vortices and meridians, Egypt is the 5th Chakra of the Planet, the Voice of Gaia. When we commune with the ancient temples, tombs, sacred sites and the Earth's powerful energy here with reverence, we are blessed with deep healing, remembrance and quantum leaps in consciousness. Into the light and into the dark we shall go, with courage and innocence, to unite our personal experiences with the transpersonal, and rise together. Daughter of the Divine, you are holy. You walk as the living lineages of the Goddess, of the Earth, Moon and Stars. As you are Awakening and Embodying your Sovereign Divinity, Reclaiming your Voice and Rising in your Priestess Leadership, the full spectrum of your experiences are welcome. The upheaval, destruction of old, release of guilt & shame, as well as your deep Remembrances, the Resurrection of your Soul Song, Power and Insights are all welcomed. The Goddesses and Priestess Codes of Ancient Egypt are calling. 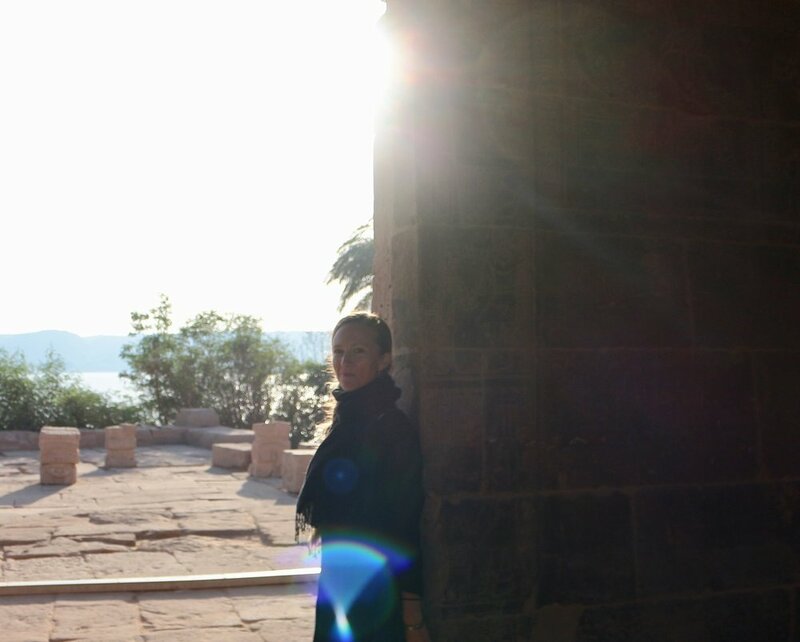 We invite you to return Home into the Magick and Mystery of these Holy Lands & Star Temples. We've curated the journey of lifetime to support you in fulfilling your mission here on Earth at this time. Every woman who comes on this pilgrimage has a unique soul contract to fill and we deeply feel this Activation is a part of it. With all our love and devotion, we have carefully crafted a soul journey experience that we believe is coded within your destiny. For it's truly our shared destiny. 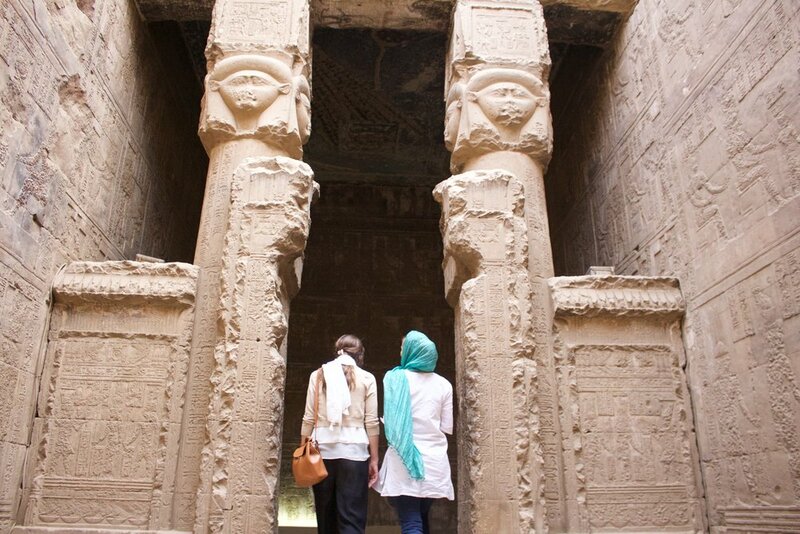 Since traveling to Egypt is such a magnificent investment of time and resources, we've gone above and beyond to curate a pilgrimage filled with Magick and as much Private Access as possible to the sacred ancient sites that await us. Our unified field of sisterhood serves to amplify our experiences with Grace and Power. With mutual support and honor, we'll root into the wisdom of the Land and traverse into the Sacred Realms with our Guides. In general, personal practices are encouraged in the morning before breakfast. 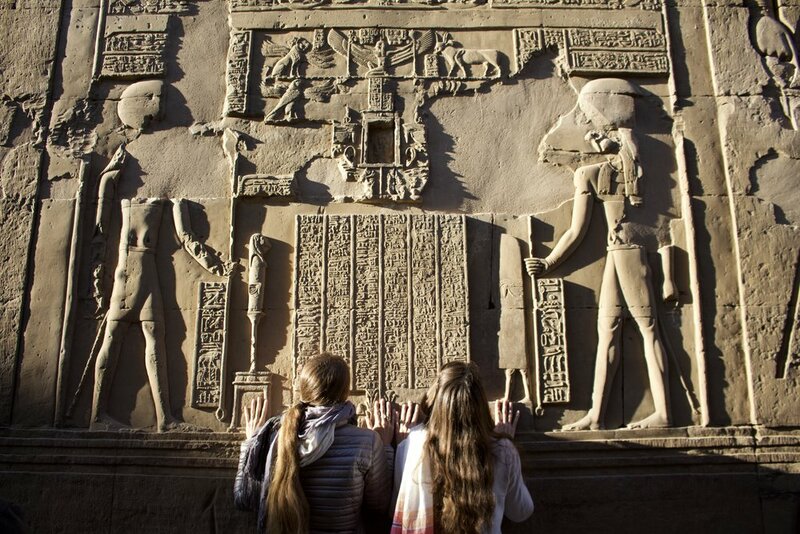 Additionally, personal and group practices will take place organically throughout our journey and in windows of time while cruising on the Nile. You will also be a part of a small Sister Group for integration, support, empowerment and connection. We will be staying in Egyptian 5 Star Accommodations throughout our travels. They are a combination of 2 Hotels; 1 in Cairo & 1 in Luxor, as well as a Luxurious Nile River Cruise Boat on which we'll enjoy 7 Consecutive Nights. All rooms are double occupancy throughout our journey. All diets can be accommodated. We will have access to a delicious and extensive buffet selection throughout our journey. During some excursions, we will have packed lunches or meals out at select locations. Applications are currently closed, sign up below to be updated on our future pilgrimages. We bow to you in Devotion Beloved Sister, as we journey into Mystery together!